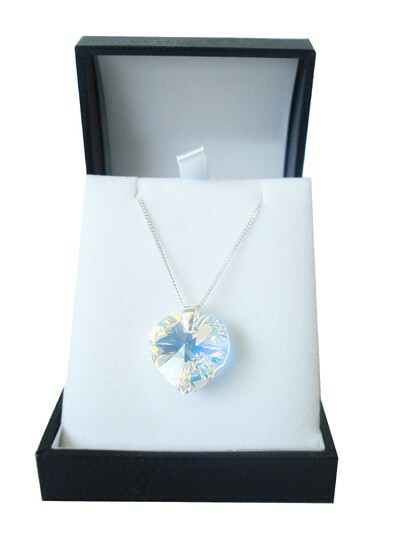 So sophisticated and tasteful this small, but beautifully-cut blue Swarovski Crystal Heart is absolutely mesmerising as the sun-cut surfaces seem to mirror infinity. Threaed on a Sterling Silver Chain. Heart: 18mm approx.